The Forward Racing Team presented the new Suter MMX2 riders, livery, main sponsor and partners of the 2018 Moto2 season. 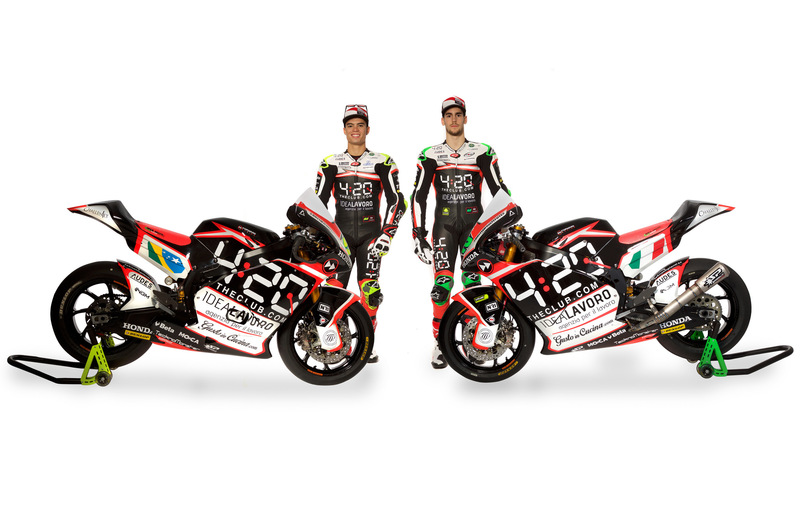 The team based in Switzerland presented its new riders, who will compete during the 2018 season at the Moto2 World Championship: Stefano Manzi, a young talent belonging to the famous Valentino Rossi school, the VR46 Riders Academy, and Eric Granado, currently unique Brazilian rider in the world of cars/motorcycles. After his first season in the Moto2 class in the Sky VR46 team, Stefano Manzi, who is incredibly hungry to learn and perfect himself. The talented eighteen-year-old Italian has a great desire to grow in order to build a solid path together with the new team. Meanwhile, Eric Granado, who emerged victorious from this 2017, which saw him climb the top step of the podium not only in the European Moto2 championship but also in the Brazilian Superbike championship, returns to the Moto2 world championship level with new awareness and a lot of determination. The goal is to enrich his skills in each of the 19 races of this season.